Having problems viewing the stream? Jennifer is the WMS Class Coordinator and teaches several classes including Beginning Blanket Binding and Create a Table Runner. 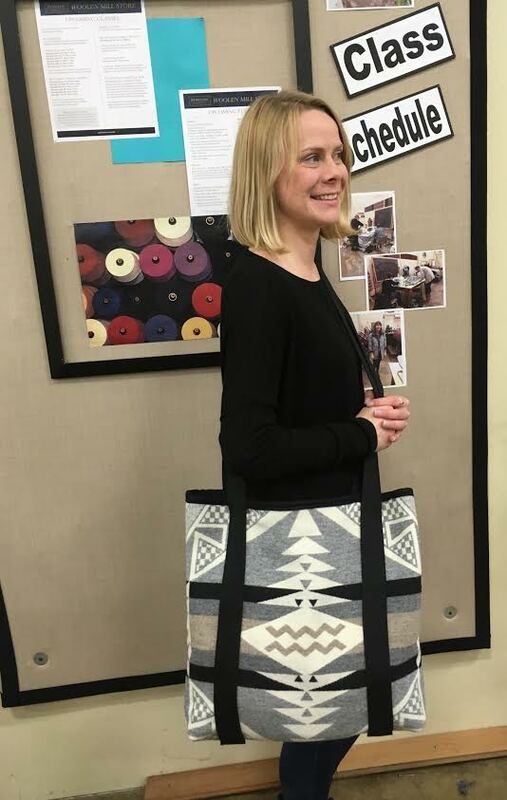 Jennifer created the Tote bag for this class and also teaches how to make it in a class here at the store. Join the Pendleton Woolen Mill Store staff in this step-by-step class. We will share the tips and tricks you need to create this great tote bag with Pendleton Jacquard fabric. Ask your questions below and get them answered live!